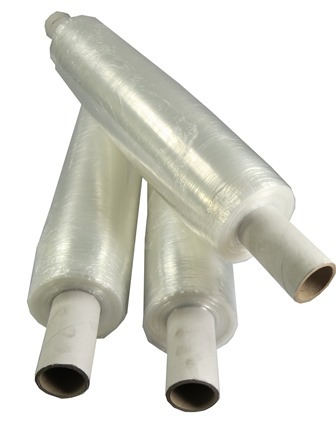 6 x Rolls of Clear Pre-Stretch Ext Core Pallet Stretch Shrink Wrap, 400mm x 7mu x 600M Rolls. Pre-Stretch is becoming increasingly popular in the UK. It is pallet wrap that has been pre-stretched, to meet its optimum length. The thickness of pre-stretch is always 7mu, but this is already stretched hence is broadly equivalent to a 17mu roll before its stretched. The benefit of pre-stretch is the 600 metres length, which you know you are getting out of the roll - whereas standard hand pallet wrap relies on the packer 'stretching' the wrap to its full capacity. This product is manufactured in the UK to the highest standards, and is 400mm wide, 7mu in thickness and 600 metres in length.